I knew when I planned this trip that we’d be seeing a lot of Civil War-related stuff: statues, forts, museums, battlefields, etc. I also knew that we’d be delving into the history of some cities that don’t exactly have the most exemplary history, from a human rights standpoint. What I didn’t realize is that many of these cities and sites don’t simply commemorate their sordid history but, in ways subtle and blatant, celebrate it. Obviously growing up in the North gives me a perspective different from that of many southerners, but I just don’t think I’ll ever understand the lasting pride in the Confederacy. I’m not nearly as concerned about having Alabama’s deplorable history of resisting the civil rights movement ruin our visit there later this week, because the state is now a bastion of civil rights museums and tributes to the leaders who helped garner those rights, not a depository for statues of Governor Wallace and other local bigots. I wish places like Charleston would take a lesson, because the disturbing part of its history really tainted almost everything we did. 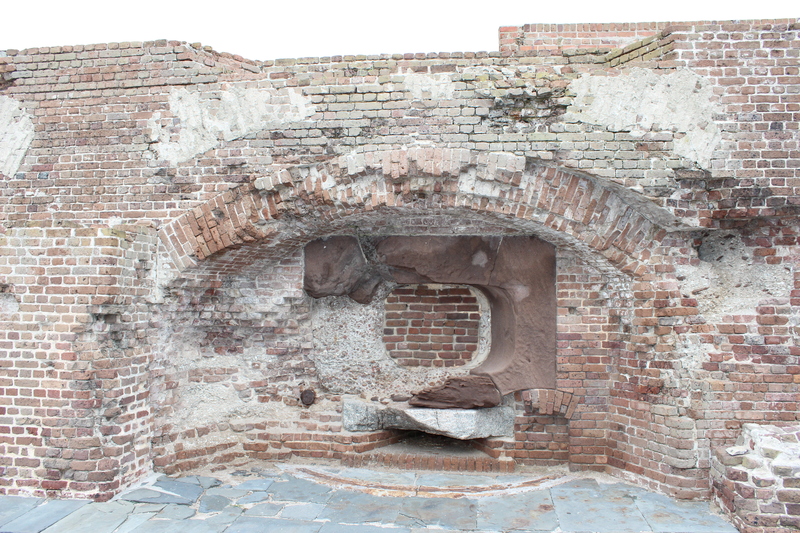 Our first stop today was Fort Sumter, the site of the Civil War’s first battle. It’s hardly a coincidence that the war started here: a few months before the battle, South Carolina was the first state to secede. For their part, the Park Rangers presented the battle in neutral terms–two sides that believed so strongly in their positions that they were willing to go to war. And the only dedication there is to Major Robert Anderson, the Union officer who commanded the fort until the Confederates forcibly took it from him. But the ferry to the fort leaves from Liberty Square, an ironic name considering that the battle was fought because South Carolinians were willing to kill U.S. soldiers to protect their “right” to keep liberty out of the hands of so many people. And the once imposing fort built to protect the country from foreign invasion is now largely rubble, thanks to an attack from its own countrymen. 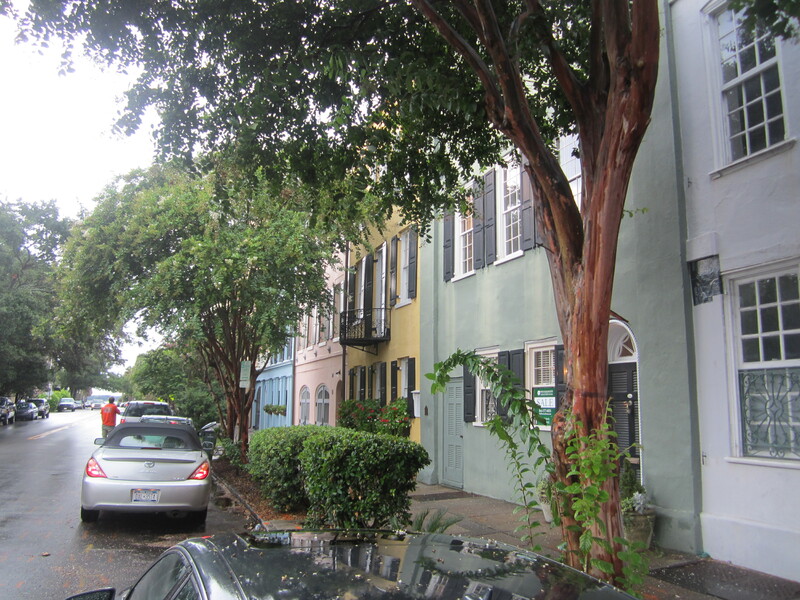 We also visited downtown Charleston’s historic district, advertised all over the place as beautiful and charming. Architecturally, it certainly lives up to its billing–this part of the city is absolutely breathtaking. The multilevel porches, the columns, the pastel colors … it’s extraordinary. And yet, as I gaped at the antebellum mansions it was hard not to think of the slaves who staffed those houses and on whose backs their owners were able to afford such opulence. 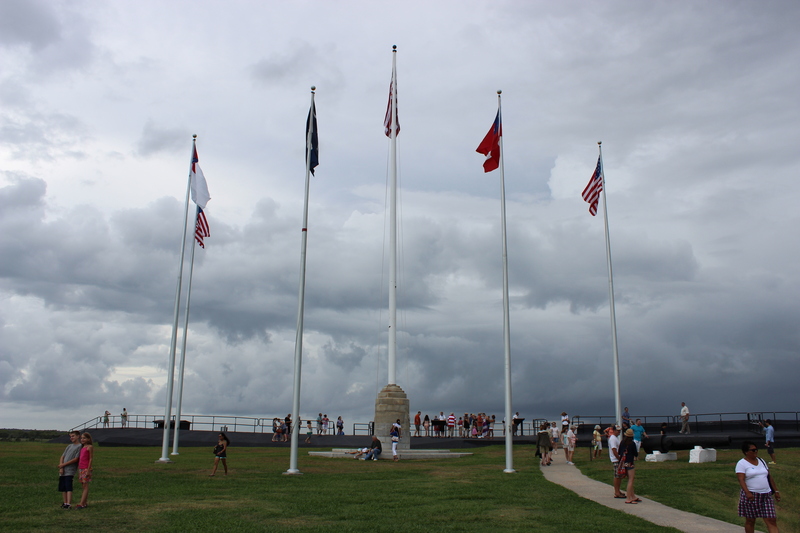 We then visited the Battery, a public park on the waterfront that would be rather peaceful if it weren’t for all the Civil War cannons and statues peppered around the perimeter. 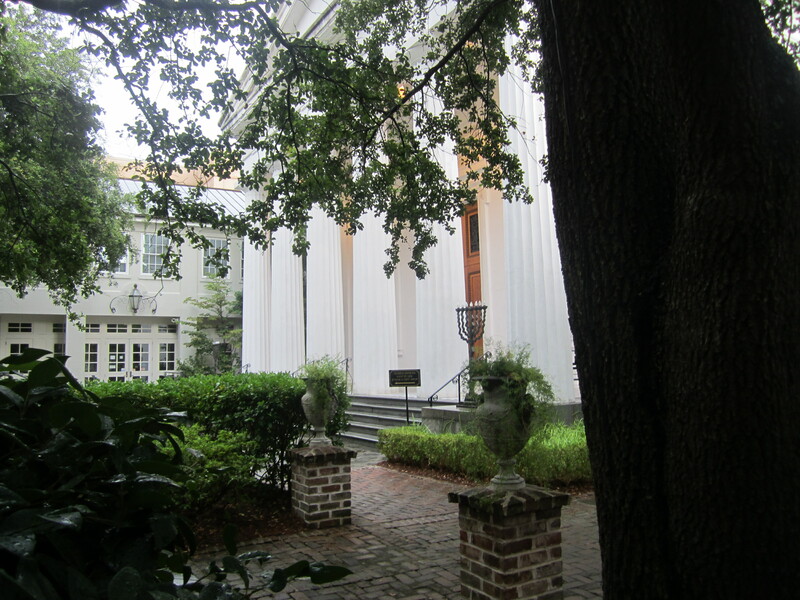 Among the area’s more popular attractions are several prewar plantations that offer guided tours. I put a couple of them on my to-do list but I messed up in terms of timing and they were all closed by the time we were ready to go see them. We didn’t go. Instead, we visited a monument to true inclusiveness and equality: Congregation Beth Elohim, the birthplace of Reform Judaism and the oldest Reform synagogue in the world. 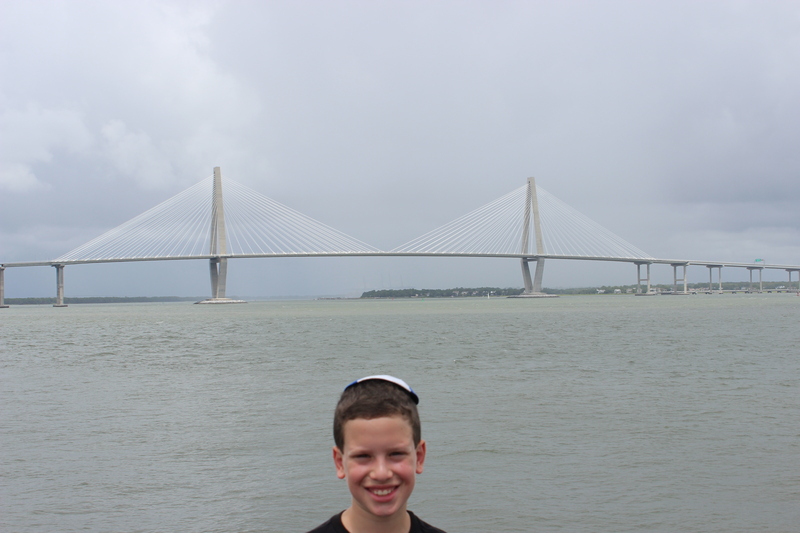 On the way out of town we appreciated the guilt-free beauty of the Arthur Ravenel Jr. Bridge, one of the longest cable bridges in the world and certainly one of the coolest looking. It opened in 2005, which means it was built by union workers who were paid for their efforts. 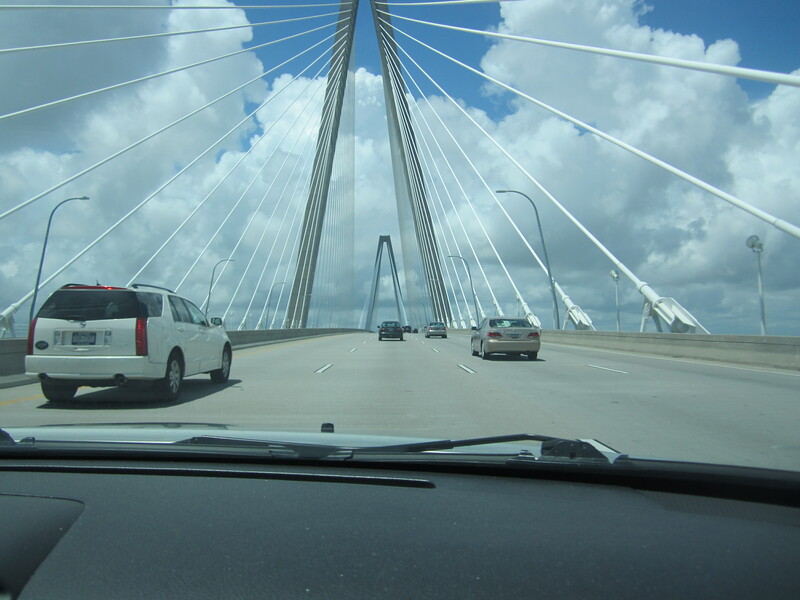 As charming as Charleston is physically, I was somewhat eager to leave town. Monday will be spent in Savannah, which has a pretty similar history in many ways, but I’ve already learned my lesson. 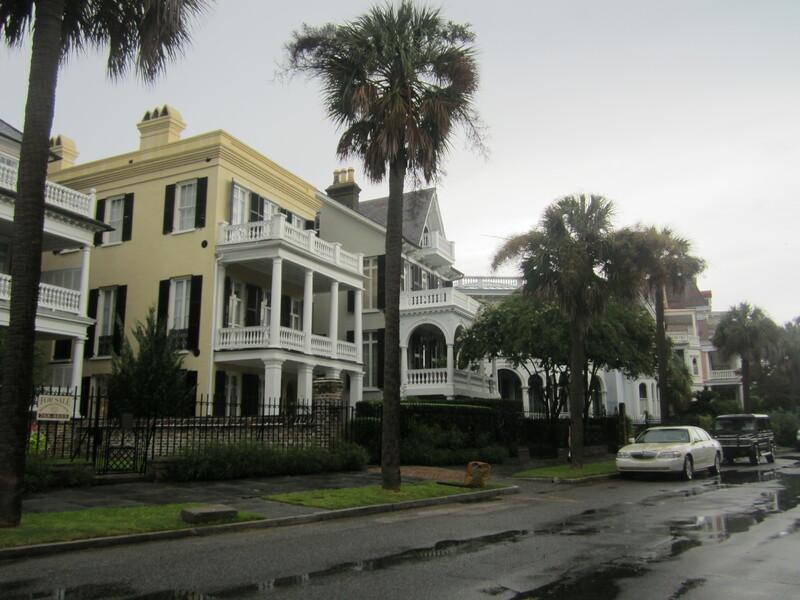 We may visit an antebellum mansion or two but we’ll spend most of our time in more modern parts of town so we can appreciate all the city has to offer now instead of focusing on all it took away back then. Well done, Adam. The interesting part is that if you talk to Southerners today and ask them why they still revere symbols of racism and divisiveness, they will tell you that the Civil War wasn’t about slavery, it was about states’ rights. So, to some in the South, displaying the famous Confederate battle flag is merely a statement about smaller Federal government Not sure if that’s what Bo and Luke Duke had in mind. I love a good Dukes of Hazzard reference. Yesterday we passed a gas station called “Cooter’s Place” and I kind of wanted to stop there.